Whether for a large inventory or for individual vehicles, you can count on our modern fleet and professional drivers to move your valuables with precaution and precision. Thinking of importing a car or truck from the United States? Transport Laberge is here to help. As a professional Canadian vehicle company, here are some important tips we share with our customers about the steps required. 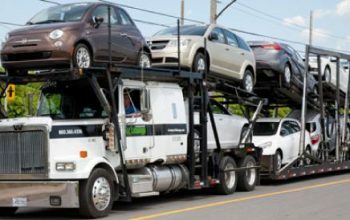 You should check with the Register of Imported Vehicles (RIV.ca) if your vehicle is admissible to Canada. They will take care of the documents required for customs clearance of your vehicle. Transport Laberge suggest using Delmar International (450) 246-4675). 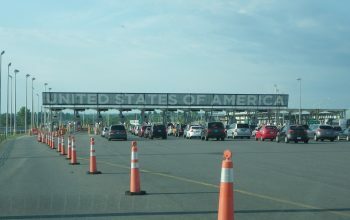 You must follow the procedures for customs clearance at ports of the United States. Each port is independent and their procedures may be different. For the procedures at Champlain NY or Port Huron MI, please see the section below. Two double-sided copies of the title. If you submit your documents directly to customs, they will send you a Homeland Security document, on which the date to export is indicated. You must send us a copy of this form. Without this document we cannot pass through customs. If you submit your documents customs by mail, you must contact them to know the date to export. You must inform us of the date to export. Without this date, we cannot pass through customs. Please note that if you do not sent us your title in time we will be required to leave your vehicle in a secure compound until the date to export. Storage fees will apply. Keep you fax transmission confirmation marked with the vehicle serial number and the date and time the fax was sent. You absolutely must send us a copy of your fax transmission confirmation. Without this document we cannot pass through customs. Make sure that the original of the title is with the vehicle. It must accompany the vehicle when going through customs. * Each Customs port is independent and its procedures may differ from those of others. Consult the following table for important information on fuel surcharges that apply when transporting your personal vehicle. At Laberge Transport, we make it easy to order professional vehicle transportation services. For your convenience as a commercial customer, download and complete the following online forms. Award-winning approach to logistics and service, backed by a commitment to the most demanding standards in the automobile transportation industry. Terminals located in Montreal, Quebec City and Moncton, shipping to all points across Canada and the United States. Modern trucks equipped with GPS tracking and belt-retention systems for added care and pinpoint accuracy.